Sameni, M., Tovar, E. A., Essenburg, C. J., Chalasani, A., Linklater, E. S., Borgman, A., Cherba, D. M., Anbalagan, A., Winn, M. E., Graveel, C. R. and Sloane, B. F. (2016). Cabozantinib (XL184) Inhibits Growth and Invasion of Preclinical TNBC Models. Clin Cancer Res 22(4): 923-934. Xie, Q., Su, Y., Dykema, K., Johnson, J., Koeman, J., De Giorgi, V., Huang, A., Schlegel, R., Essenburg, C., Kang, L., Iwaya, K., Seki, S., Khoo, S. K., Zhang, B., Buonaguro, F., Marincola, F. M., Furge, K., Vande Woude, G. F. and Shinomiya, N. (2013). Overexpression of HGF Promotes HBV-Induced Hepatocellular Carcinoma Progression and Is an Effective Indicator for Met-Targeting Therapy. Genes Cancer 4(7-8): 247-260. Zhang, Y. W., Staal, B., Essenburg, C., Lewis, S., Kaufman, D. and Vande Woude, G. F. (2013). 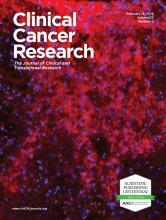 Strengthening context-dependent anticancer effects on non-small cell lung carcinoma by inhibition of both MET and EGFR. Mol Cancer Ther 12(8): 1429-1441. Xie, Q., Bradley, R., Kang, L., Koeman, J., Ascierto, M. L., Worschech, A., De Giorgi, V., Wang, E., Kefene, L., Su, Y., Essenburg, C., Kaufman, D. W., DeKoning, T., Enter, M. A., O'Rourke, T. J., Marincola, F. M. and Vande Woude, G. F. (2012). Hepatocyte growth factor (HGF) autocrine activation predicts sensitivity to MET inhibition in glioblastoma. Proc Natl Acad Sci U S A 109(2): 570-575. Zhang, Y. W., Staal, B., Essenburg, C., Su, Y., Kang, L., West, R., Kaufman, D., Dekoning, T., Eagleson, B., Buchanan, S. G. and Vande Woude, G. F. (2010). MET kinase inhibitor SGX523 synergizes with epidermal growth factor receptor inhibitor erlotinib in a hepatocyte growth factor-dependent fashion to suppress carcinoma growth. Cancer Res 70(17): 6880-6890.